VISTA telescope. View of the Milky Way and the night sky through a gap in the enclosure of the VISTA (Visible and Infrared Survey Telescope for Astronomy) telescope at the Paranal Observatory in the Atacama Desert, Chile. The Paranal Observatory is operated by the European Southern Observatory (ESO). It is situated at an altitude of 2,635 m, on Cerro Paranal. 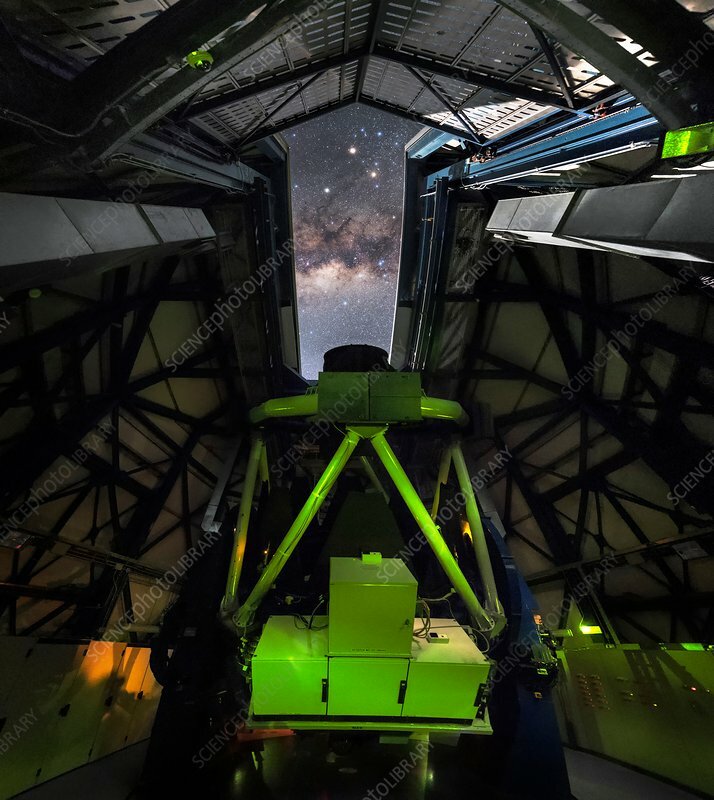 VISTA is a wide-field reflecting telescope with a 4.1 metre mirror.